Distracted drivers killed more than 3,000 people in car crashes in 2010, according to the National Highway Traffic Safety Administration. It's a particularly deadly problem for teens, as the family of 17-year-old Alex Brown knows tragically well. She died in a single-vehicle crash while texting and driving on her way to school in 2009. Traffic crashes are the leading cause of death for American teens, and they're also among the most likely to talk and text behind the wheel. "Like so many, she didn't believe it would happen to her," said Alex's mom, Jeanne Brown, on The Daily Circuit Thursday. "We all believe it's dangerous for you to do it, but [may think] 'I can handle it.'" Brown is the co-founder of the Remember Alex Brown Foundation. The foundation is holding two events in New Richmond, Wis. Thursday to talk about the dangers of texting and driving. Paul Atchley, professor of psychology and director of the Cognitive Psychology Program at the University of Kansas, also joined the discussion on The Daily Circuit. Almost every young adult is texting and driving, Atchley said. In a survey at his university, 97 percent of students admit they text and drive. And it's more dangerous than drunk driving: Driving drunk increases your crash risk by 400 percent, he said. Texting while driving increases your crash risk by 2,300 percent. The average person spends about four seconds at a time texting. That's the equivalent of the length of a football field at freeway speeds without looking at the road. Not only that, but your brain and hands become engaged with the phone. Your field of vision narrows and you have less brain function focused on road activity. It's your car, your rules. First and foremost, parents should lay down the law with their teen drivers. If they text while driving, you take the keys away. Watch your teen's habits when you're in their car. "If they do it in front of us, they're doing it when we aren't in the car," Brown said. Look into phone applications that allow you to monitor their behavior. Some apps allow the phone to lock when the device is in motion. Others allow parents to see the phone's activity. Set a good example. Don't text and drive. And talk to your teen's friends and their families about the rules of the road. A caller from Woodbury said she doesn't allow her kids to be in cars with parents or friends who text on the road. "We may have lost friends, our kids may have lost a little of that social status, we may have lost carpool privileges, but so far, and I knock wood as I say it, we haven't lost our children to texting and driving," she said. Make it clear that just reading texts or texting at stop lights is also illegal and not safe. "They think it's a 'safe way' to text," Atchley said. "The problem is, if you observe these people, they are finishing their text while they are proceeding out into the intersection after the light turns green. Most of us know that the intersection is the most dangerous place during your drive." Tell your teen to leave the phone in the backseat or the trunk. If you can't resist the urge to pick up a beeping phone, make it unreachable. Think about the consequences. Brown said she talks to teens about planning their funeral. "This is real, this is the reality of what happens when people text and drive," she said. "I bring it up with the kids; I want them to understand what their family is left with because they chose to 'LOL' behind the wheel. I want them to understand we have to go plan a funeral the next day when we're still trying to figure out how we're going to survive a day without hearing from you. So what kind of funeral do you want? Where do you want it held? Are there songs? Write it down; help your parents out. You're the one choosing this behavior; your parents are the ones who have to deal with it when you're gone." Is that text worth dying for? "The outcome, the cost for engaging in this behavior, relative to the benefit ... is ridiculously lopsided," Atchley said. When asking people what they are texting about, he's never found a conversation that is worth a crash. 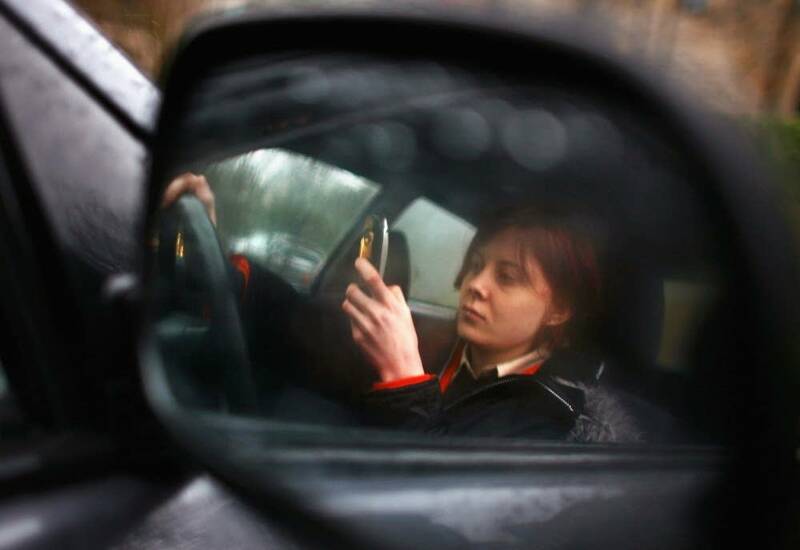 How can we stop young people from texting and driving? Comment on the blog.